Design consultant, Selena White, aims to provide you with cost effective alternatives and functional solutions that address the ever-increasing importance of environmental consciousness. Selena established Simpatico Interior Design in 2006 after working in a design partnership for several years. With a background in photography, visual merchandising, horticulture and home renovation, interior design transpired as the obvious progression towards creative professional fulfilment in her early 30’s. Selena has won an award in the prestigious Design Institute of Australia’s “Design and Decoration” division held at Designex in 2005, and has had her work published in the Geelong Advertiser as their design expert. 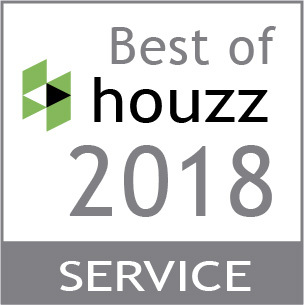 Simpatico was awarded “Best of Design” as voted by the Houzz Australia community in 2013, 2014, 2015, 2016 and 2017. Selena was also presented the title of “Houzz Influencer” in 2016, as well as winning “Best of Service” in 2017 and 2018. With experience in both residential and commercial design, Selena’s enthusiasm for originality and ingenuity, and her resourcefulness, help her creative vision to be realised across her projects.